This free, one-hour webinar, led by log home expert, engineer and educator Alex Charvat and Log Home Living editor Donna Peak will put your mind at ease by addressing these questions and many others head on. Sponsored by Coventry Log Homes Inc.
Building a log home is a lot like expecting your first child — you’re super excited about it, but also a little apprehensive. After all, this is new territory for you, and you’re uncertain about the process. What are the stages? What happens in each phase? What could go wrong and how do you prevent these things from happening? How do you keep things on track? This free, one-hour webinar, lead by log home expert, engineer and educator Alex Charvat and Log Home Living editor Donna Peak will put your mind at ease by addressing these questions and many others head on. You'll gain the confidence to move forward, and, when your log home is finished, it will be love at first "site." 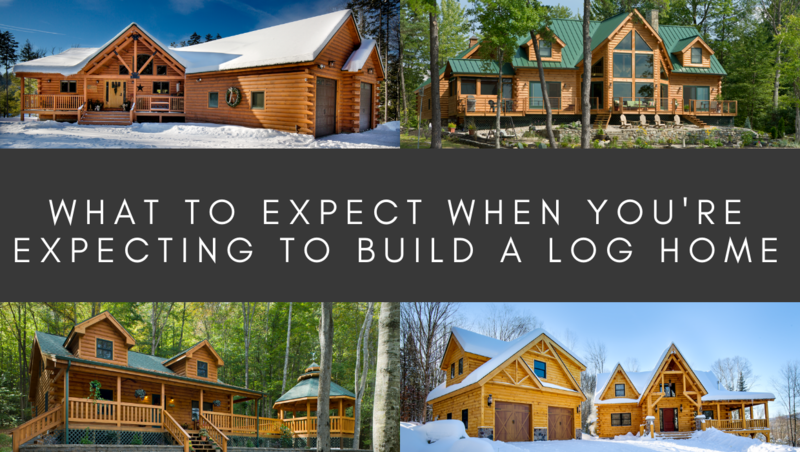 Fill out the form below to register for "What to Expect When You're Expecting to Build a Log Home" presented by Coventry Log Homes and Log Home Living. This article is sponsored by Coventry Log Homes.